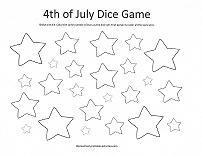 Enjoy free printable 4th of July games. No special planning is necessary on your part. Simply print and use immediately. Have fun with red, white and blue... and all the other symbols of this National holiday. 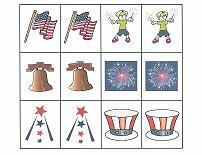 Some of these printables can be used to keep children busy while they are waiting to go to a parade, fireworks, etc. 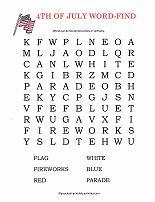 Kids tend to like word-finds and here's one just right for the 4th of July. 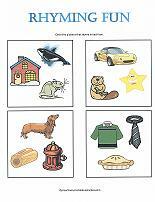 A simple word find for preschoolers with words that are horizontal or vertical. No diagonal or backwards words. 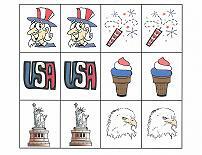 Try a 4th of July match game with many of the symbols of the holiday. Simply cut into individual cards and play. 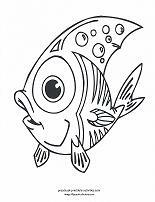 For added durability, print out on card stock paper and laminate. 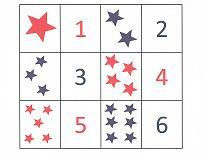 Get out the dice for this simple 4th of July game. 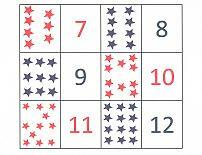 Just roll one die and color the same number of stars as the roll of the die. First one to color all the stars wins! Or.. try another match game. This time the kids will have to count the stars to see if they have a match. 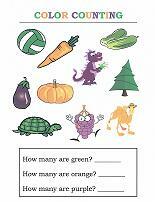 This is a great way to encourage counting while playing a fun game.